One of the reasons I love my job so much is that I get to do segments with super-nice, super-fun people like Kathie Jay at Colorado's "Everyday" show! 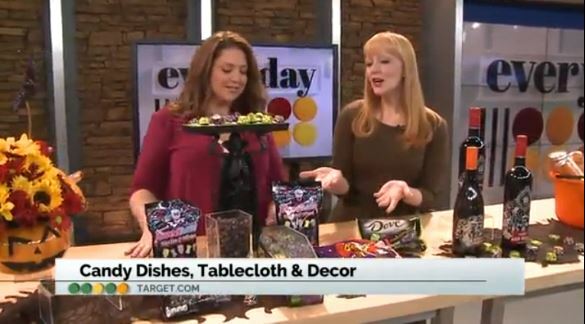 One look at our recent segment on Halloween treats, and you'll see why! She has such amazing energy - and even makes a great save when that pumpkin bouquet almost took a flying leap off the table. 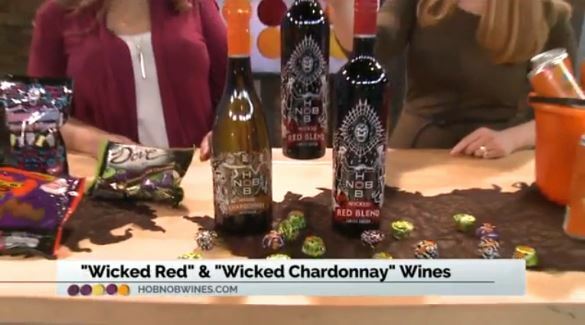 You can check out this post for more details on the items from the companies that sponsored this segment. New Yorkers can be ultra-competitive about - well, pretty much everything. Designer clothes. The latest "it" bag. Getting your kids into the "right" school. Over-the-top birthday parties for three-year-olds. Houses in the Hamptons. 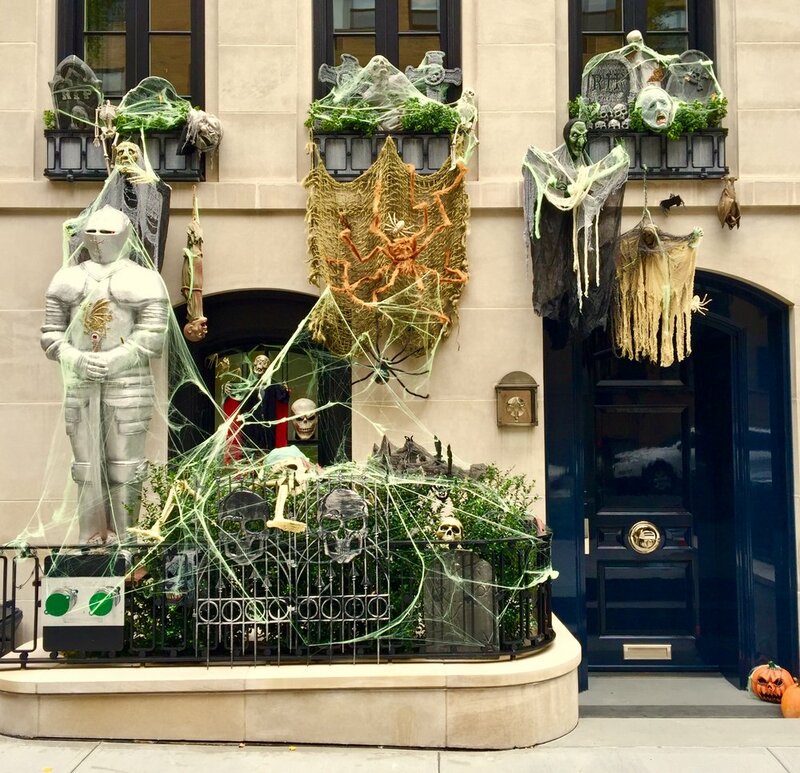 Competitive Halloween decorating has taken over Manhattan's Upper East Side. Elegant side streets lined with $20 million to $50 million townhouses are adorned with webs, skulls, graveyards and more. (You might say some of these mansions are 'vaunted' houses). These are not houses where Dad ran out to Party City and put up a few decorations on a Saturday morning. Some of these are serious, professionally-decorated homes. One thing the houses have in common, though, is the presence of ginormous hairy spiders - which definitely seem to be a "thing" this year. If you're trick-or-treating in our Yorkville neighborhood, stop by our apartment. We, along with our neighbors next door and across the hall, give out the good stuff. Do you decorate for Halloween? If so, are you pretty basic - or do you go all out?